After Halloween there is Just. So. Much. CANDY! 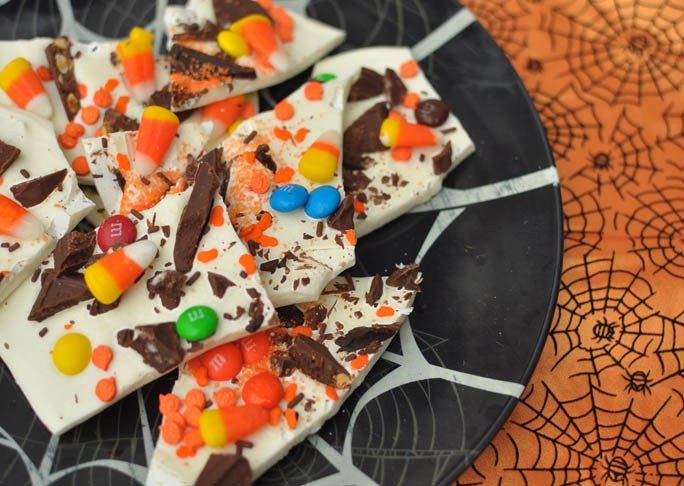 What to do with all the leftover Halloween goodies? Why, turn it into some other form of candy of course! 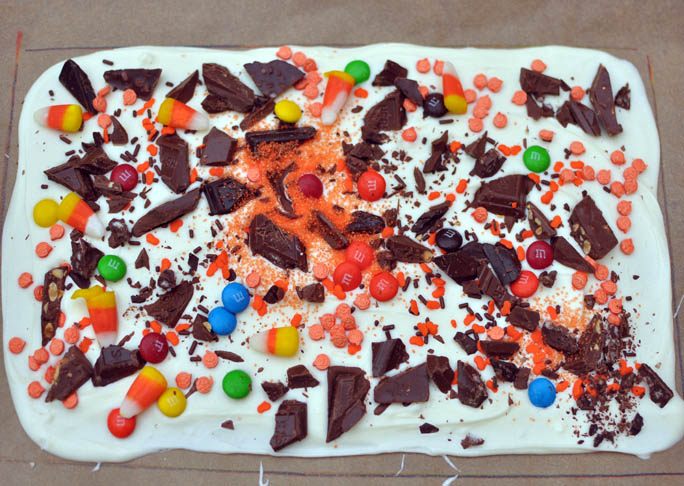 Chocolate Candy Bark to be specific. This recipe makes a fun and easy way to use up all of your leftover sweets all at once. Get it out of your pantry and into a yummy and festive snack. 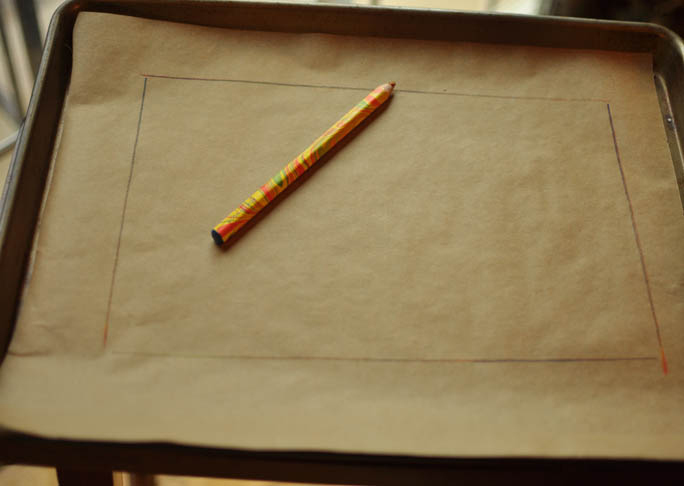 Step 1: Using your pencil and ruler, draw an 8×10-inch rectangle on a piece of parchment. Flip parchment upside down so that pencil markings are on the underside and place it onto the large baking sheet. Step 2: Chop any large pieces of candy up into large chunks and set aside. Find a heat-proof or glass bowl that easily sits atop one of your sauce pans. Fill the saucepan halfway with water and set it over medium heat on the stove. Pour chocolate chips into the bowl and place bowl over the pan of simmering water. Make sure the water in the pan is not touching the bottom of the bowl. The water should only simmer, not boil, so adjust the heat as necessary. 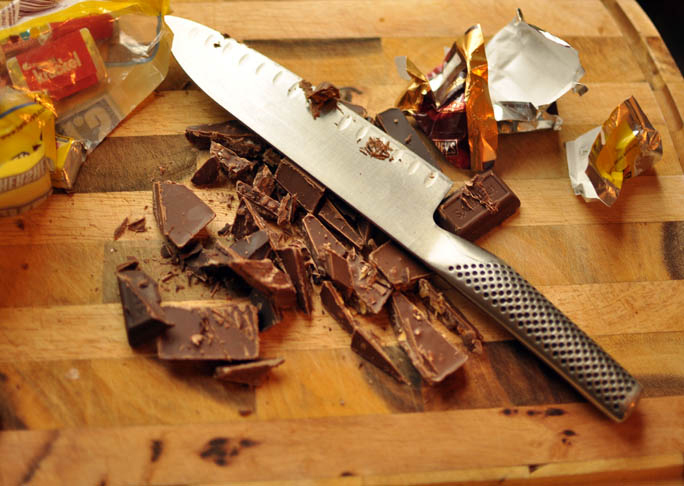 Use a rubber spatula, whisk the chocolate continuously until it is smooth and shiny, about 5-6 minutes. Remove chocolate immediately. 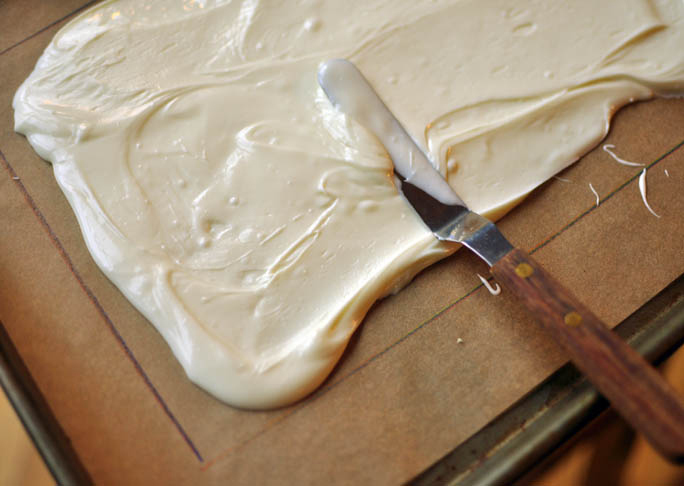 Step 4: Pour melted white chocolate onto prepared parchment and spread quickly with a small offset spatula until it reaches the edges of your pencil markings (which should be on the underside of the parchement paper; you will see the markings through the paper). 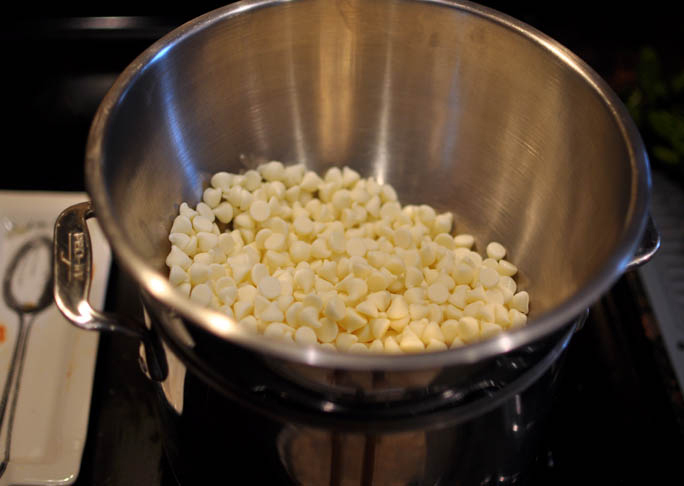 Step 5: Sprinkle candy pieces all over the white chocolate and press gently so that it sets well. Refrigerate until set, about 20 minutes. Step 6: Break into large shards with your hands. Enjoy!